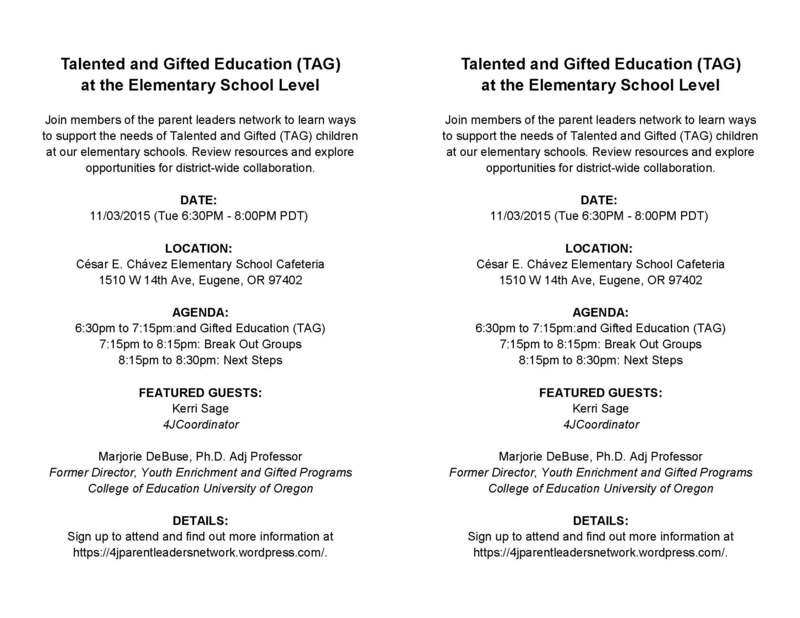 This is a parent-led meeting open to anyone with an interest in supporting the needs of Talented and Gifted (TAG) elementary level students and their families. It is open to the public. Please sign up for this meeting at http://www.signupgenius.com/go/409084fa5ab2ba13-talented under the school your child attends. It will help us to track meeting attendance and help the facilitator to prepare for the meeting. Thank you! For more details, please contact 4jparentleadersnetwork@gmail.com.